Cree kids in three James Bay communities are using the latest 3D gaming technology to learn their ancestors' language in school. Cree children in three James Bay communities are using the latest 3D gaming technology to learn their ancestors' language in school. 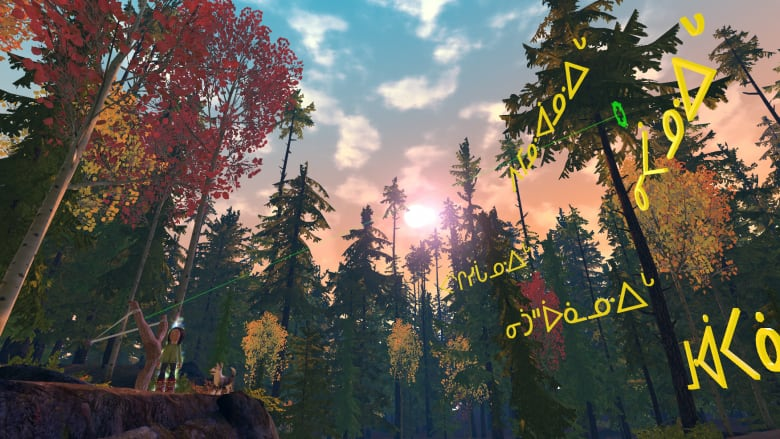 The Cree School Board launched its Cree Syllabics Virtual Reality project on Nov. 2, which it says is the first of its kind in Indigenous Canada. 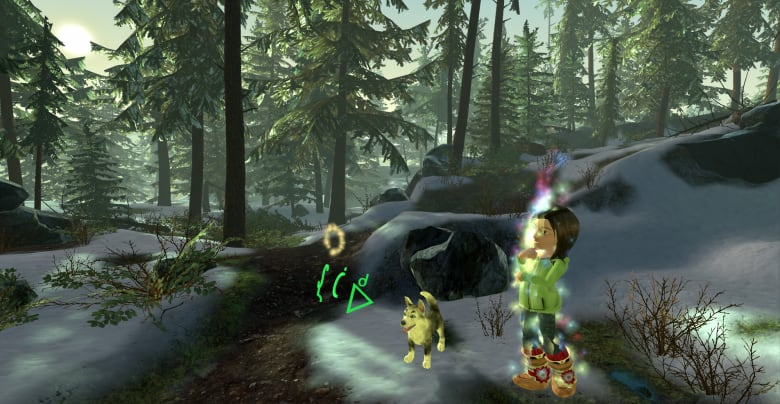 Students put on headsets to enter a virtual camp setting where they meet a little girl named Niipiish and her dog Achimush. Using hand movements and buttons to move around within the camp, they go on a journey to prepare for Niipiish's little brother's walking-out ceremony, all the while identifying Cree words that describe the seasons, the environment and Cree traditions. "It excites me. 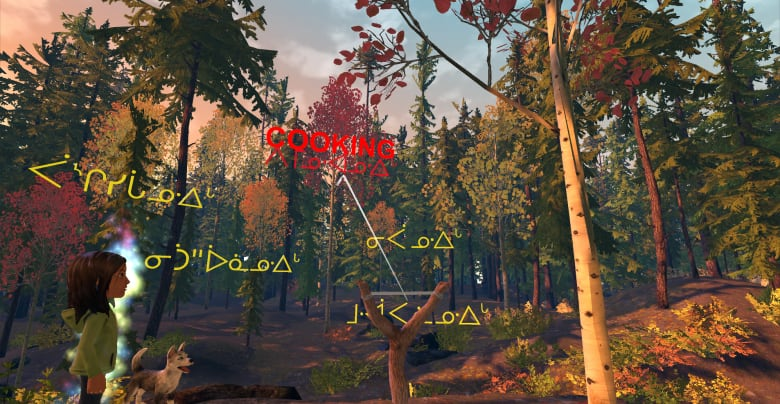 I think the project can grow by adding more stories to the virtual reality," said Lucy Shem, co-ordinator of Cree programs at the Cree School Board. "I know the children will enjoy and learn from it because children are already good with technology." The school board partnered with Minority Media, a video game company based in Montreal that was co-founded by Cree filmmaker Ernest Webb. "It surpasses everything that I was hoping for," said the school board's Deputy Director General, Serge Béliveau. "It's a great learning environment... everybody is amazed by this potential." University of Montréal professor and Canada Research Chair on technology in education Thierry Karsenti has been involved from the project from the beginning. "I'm very excited for this project. 3D is really new in education. It's impressive that these innovations are being put in place in First Nations communities," said Karsenti. "The impact on education, we don't know yet. But the impact on motivation is really high." Karsenti wrote a letter of support for the project "basically stating that this is the future in education and how innovative we are and basically ahead of the game worldwide," Béliveau added. The virtual reality learning tool was introduced this fall to the Cree communities of Oujé-Bougoumou, Chisasibi and Nemaska. The Cree School Board hopes to expand the project to other Cree elementary schools in the future.